Call us on 07758 412 854 to book your free introductory trial class. The Lodge theatre school, formally known as Beryl Jarvis School of Theatre Dance, offers a full spectrum of theatre and dance classes and performing art qualifications to enable students to gain entry to colleges of further education. 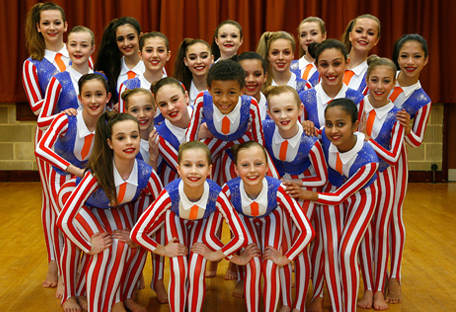 All of our professional dance and drama classes cover an extensive range of styles and disciplines, and are taught in the South of England in Reading, Berkshire. Our fully-qualified, DBS checked teachers provide an outstanding standard of training to all ages in small, intimate dance classes so that each student receives the upmost level of attention and care. 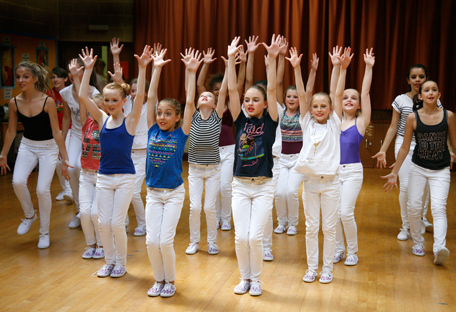 Ranging from dance classes to drama and singing lessons, our expertise covers all genres of the theatrical world! We are proud of our 100% entry success rate for students going into competitive colleges of further education, many of who obtain full funding or scholarships. As well as this, we are an International examiner of the I.S.T.D. We teach a range of different classes to children of all ages here at The Lodge School of Theatre Dance, from drama lessons to classical ballet dance classes and more, across all levels of experience - from beginner to intermediate - so whether your child is just starting out or has years of experience, we'll have the right tuition to suit! All of our students are trained to a high standard to give them the best possible chance of gaining entry to full-time further education, so much so that we have a very high success rate! We're with our students every step of the way at our theatre school, offering our full pastoral guidance and support. Interested In A Dance Class In Berkshire? Why not come along and watch an open dance class or showcase in action, and see for yourself the high standard of teaching and learning that takes place here at our Berkshire theatre school! For more information on any of our classes, don't hesitate to get in touch!